Comprehensive immigration reform would be a very good thing for the United States, the White House has declared, a day after the inaugural address of President Barack Obama where he vowed for it to take place during his second term. 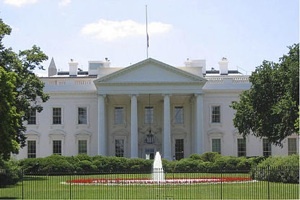 The White House says that such reform would provide the country with unity but also be very good for its economy. Obama has declared that the United States needs to find a better method to welcome hopeful, hardworking immigrants who still see the country as being a land of opportunity, and made pointed remarks about the need for talented students and engineers to be able to work in the country rather than expelled from it. Carney says that comprehensive immigration reform, as with a number of different issues that were touched upon by Obama in his inaugural address, was something that political leaders are able to unite and act on. “It has been an issue in the past that has enjoyed bipartisan support from very prominent Republicans, as well as Democrats,” Carney points out. “It’s the right thing to do; it’s the right thing to do for our economy.” Carney added that Obama is hoping for bipartisan support when he begins addressing the issue soon.